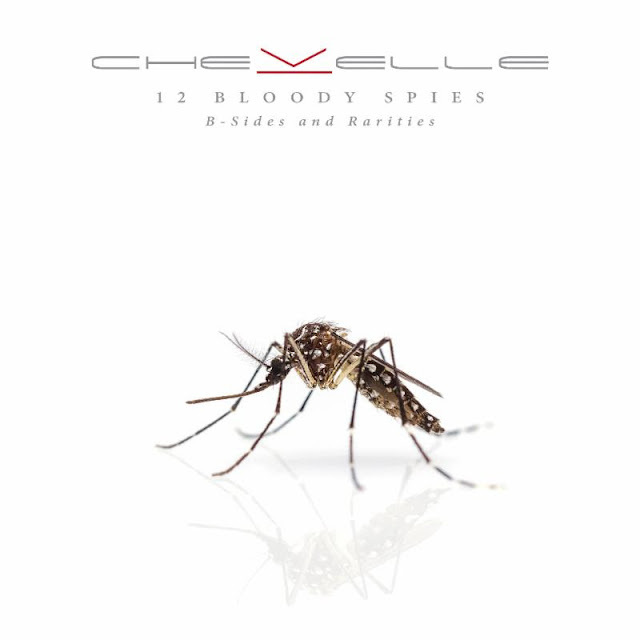 CHEVELLE Announces New Album, "12 Bloody Spies: B-Sides and Rarities"
Today, multi-platinum, acclaimed alternative rock band CHEVELLE have announced a new album, 12 Bloody Spies: B-Sides and Rarities, compiling sought-after B-Sides and rarities from 2002-2016, now remastered on one brand new collection for the very first time. Set for release on October 26, 2018, the album is now available for pre-order via Epic Records. Get it HERE! The album pre-order unlocks the single "Sleep Walking Elite." Originally recorded during the sessions for 2007's Vena Sera, thick riffing drives the track, providing the perfect counterpoint to a hauntingly hypnotic hook. With its delicate push-and-pull between robust distortion and dynamic melody, it stands out as classic CHEVELLE. The project's full collection spans everything from an acoustic version of "Sleep Apnea" off 2009's Sci-Fi Crimes to an unearthed bonus track off the now-classic Wonder What's Next entitled "Until You're Reformed" and "A Miracle" recorded as a bonus track for The North Corridor in 2016. It's essential listening for fans to say the least. Check out the full tracklisting for 12 Bloody Spies: B-Sides and Rarities below. Stay tuned for more from CHEVELLE soon! Since the release of their full-length debut Point #1 in 1999, CHEVELLE have stood at the forefront of hard rock, consistently evolving and progressing while delivering a series of ubiquitous and inescapable anthems. 2002's breakout Wonder What's Next would go platinum, yielding smashes such as "The Red" and "Send the Pain Below," while its follow-up This Type of Thinking Could Do Us In reached gold status. In 2011, Hats Off to the Bull landed at #9 on the Billboard Top 200 and delivered "Face to the Floor." La Gárgola crashed into the Top 5 at #3 and boasted "Take Out the Gunman." 2016's The North Corridor represented new heights for the group, marking its fourth Top 10 bow on the Billboard Top 200.